Fiona De Rosa is an urban planner and dog behaviour trainer. She is the Founder of Balancing Act Adelaide a consultancy that specialises in the integration of companion animals (particularly dogs) into the urban environment. 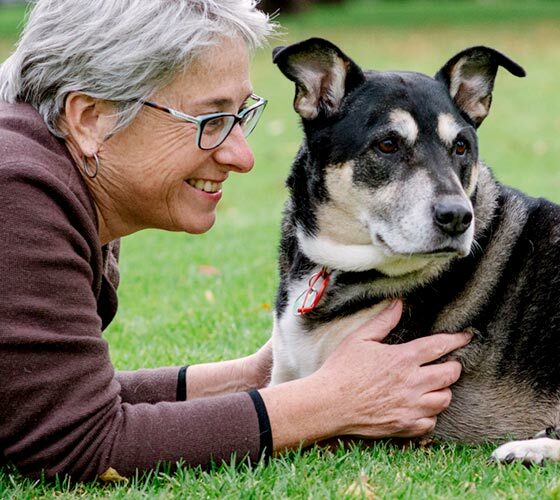 She has a Bachelor of Town Planning (Hons) from the University of New South Wales, Master of Environmental Studies from the University of Adelaide and a Diploma of Canine Behaviour Science and Technology from the Companion Animal Sciences Institute (CASI). Fiona’s areas of expertise are as diverse as her qualifications. She has over 20 years experience in federal, state and local government as a strategic and social planner, youth program manager and research officer. Fiona specialises in the planning, design and management of enclosed dog parks. She has audited over 30 parks in South Australia and recently prepared an innovative publication ‘Unleashed, a guide to successful dog parks’ for the Dog and Cat Management Board of South Australia. She is a also the President and dog trainer for the Canine Behavioural School. She is also listed with the RSPCA as a Force Free Dog Trainer. Fiona currently lives at home with her 10-year old Bull Terrier X – EB the wonder dog.